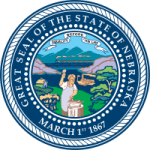 The Nebraska Court Rule Chapter 4 outlines the details of how to go about computing for child support. Assuming that the parents are either separated or divorced, they should take up the responsibilities for their children. This chapter holds the guidelines and laws that help the court and child support department in Nebraska make a decisive ruling based on the situation at hand.